Final Presentation – NPO SHORE UP! Inc.
Jennifer Lopez, is a singer, dancer, actress, designer, mother, and all around superwoman. She has been in the public eye for many years now, and is always so poised, graceful, honest, and kind. But, when you mess with the bull you get the horns. J.Lo, shes naturally so beautiful, she has good gene’s, but a recent tweet made people question her natural beauty. A doctor by the name of Dr. Ayham Al-Ayoubi, who is in the plastic surgery field recently tweeted two side by side photos of Lopez and claimed they were before and after surgery pictures, saying, ” “These before and after pics of @JLo show many signs of#plasticsurgery – naturally pretty but now looks amazing.” Sounds like a backhanded compliment to me. Out of all the options JLo had to get back at the doctor and defend herself, she simply tweeted Dr. Al-Ayoubi back saying, “@DrAyoubi Sorry Sir, but I have never had plastic surgery of any kind. #fact.” Simple and elegant, just like JLo is, #fact. This just shows how easy it is to use social media to help you manage what could turn to be a reputation crisis. Great way, to make great, use of social media JLo! The late Marvin Gaye is a music legend with such hits as, “Can I get a Witness,” “How Sweet It Is,” and “What’s Going On.” Now, his son’s Frankie and Nona Gaye are suing Robin Thicke and his collaborators for the song “Blurred Lines,” which was a summer 2013 mega-hit for Thicke and his producers. Gaye’s sons are suing because they say Thicke has wrongfully taken aspects of one of Gaye’s song, “Got to Give it Up.” They also claim other songs of Robin’s are derived from many of Gaye’s hits. As PR professionals, do you think this was a good way for Thicke to defend himself? 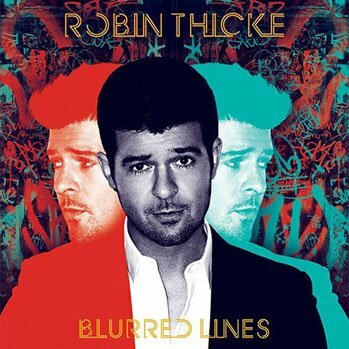 He did admit he had inspiration from Gaye’s song, whom his songs claim Thicke allegedly crossed some copy-write laws with, when writing blurred lines. Do you think this is a case of misunderstanding? Many artists get their inspiration from other artists; especially ones they admire and aspire to be like in certain ways. Or do you think there were some “Blurred Lines,” crossed when dealing with copy-write infringement? 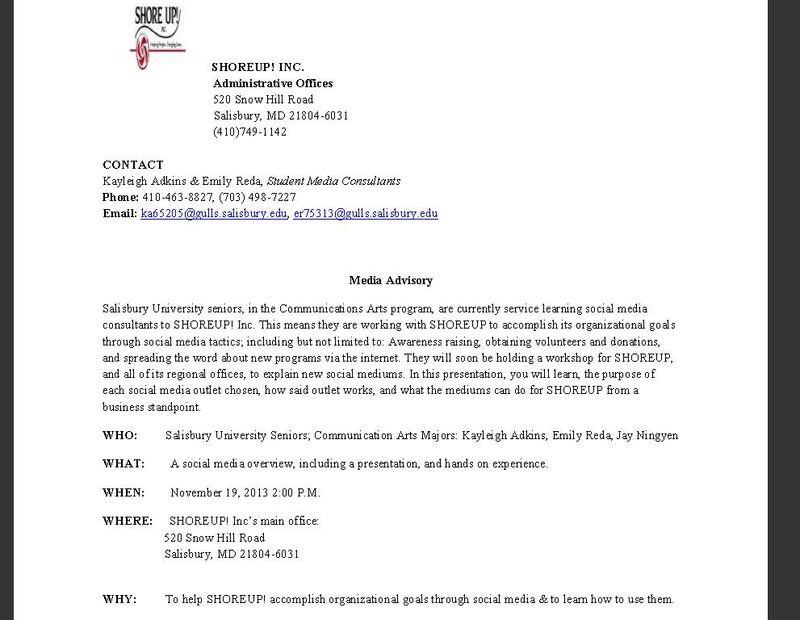 This is a media advisory I have made for my groups, service learning social media consultant project for our CMAT 490 class at Salisbury University. Personal Branding Info-graphic I found on Pinterest! The benefits of social media and an online presence. The place to keep you updated!